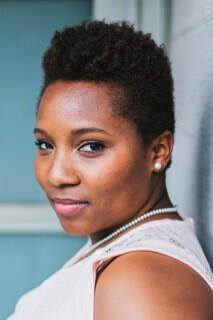 Soprano, Sirgourney Cook, a Chicago, IL native, completed her graduate education at Longy School of Music of Bard College in Cambridge, MA where for two years, she was named a Presidential Scholar and earned a Master of Music Degree in Opera Performance, May 2016. There, she studied with Bass-Baritone, Robert Honeysucker. She has been a member of the Boston Opera Collaborative since 2016. In 2011, Sirgourney began touring and performing as soprano background vocalist for Oscar and Grammy Award Winning Actress and Recording Artist Jennifer Hudson, where she sang on national and international stages from the U.S., London and China and many others, for over three years. Most recently, she was featured as a soloist in Duke Ellington’s “Concerts of Sacred Music” conducted by Ellington’s protégé, Maestro Randall Keith Horton at Boston University’s 2017 Rev. Dr. Martin Luther King Jr. Birthday Commemoration. Sirgourney served as a Graduate Teaching Assistant at the David A. Ellis Elementary School in Roxbury, MA in 2014-2016 in partnership with Longy School of Music of Bard College and Boston Public Schools (BPS). As a performing artist, she continues to use music as an avenue to inspire, educate and advocate for underprivileged youth. She currently serves as the Performing Arts Teacher for grades 5-8 at Roxbury Prep Dorchester.